This product was exactly what I expected! Our little one loves it! Great quality soft fleece, perfect as a top blanket for the holidays... What the cold that we get in San Diego... Laugh out loud! 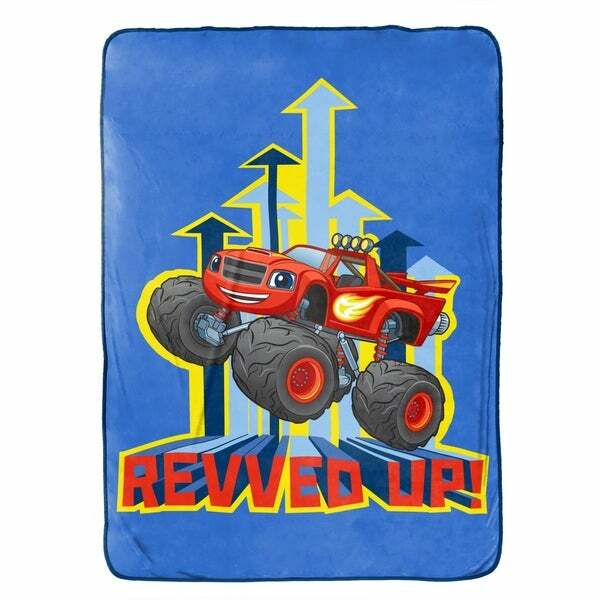 Enjoy the comfort, warmth and coziness of this Nickelodeon Blaze and The Monster Machines High Octane Fleece 62 x 90 Twin Blanket all year round. Perfect for bedroom, living room or take it in the car for short or long road trips. Kids are sure to love the Blaze design and bold colors of their favorite movie. This super soft and plush blanket makes the perfect gift. Toss over existing bedding for an additional layer during the cold months or drape over you on a chair while reading a book. Blaze and the Monster Machines High Octane twin size blanket measures 62" x 90". Synthetic material is naturally hypoallergenic and easy to care for. Easy care, machine washable polyester. Imported.